The Catcher in the Rye is J . D. Salinger's world-famous novel of disaffected youth. 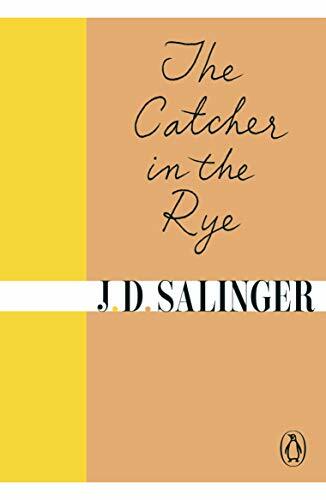 Holden Caulfield is a seventeen- year-old dropout who has just been kicked out of his fourth school. Navigating his way through the challenges of growing up, Holden dissects the 'phony' aspects of society, and the 'phonies' themselves: the headmaster whose affability depends on the wealth of the parents, his roommate who scores with girls using sickly-sweet affection. Written with the clarity of a boy leaving childhood behind, The Catcher in the Rye explores the world with disarming frankness and a warm, affecting charisma which has made this novel a universally loved classic of twentieth-century literature. J. D. Salinger was born in 1919 and died in January 2010. He grew up in New York City, and wrote short stories from an early age, but his breakthrough came in 1948 with the publication in The New Yorker of 'A Perfect Day for Bananafish'. The Catcher in the Rye was his first and only novel, published in 1951. It remains one of the most translated, taught and reprinted texts, and has sold some 65 million copies. His other works include the novellas Franny and Zooey, For Esme with Love and Squalor, and Raise High the Roof Beam, Carpenters, published with Seymour - An Introduction.